The leading brewing company worldwide, SABMiller, recently acquired Meantime Brewing Company for a sum that was not disclosed. This purchase gave SABMiller a firm footing in the rapidly growing craft beer market. Under the leadership of Nick Miller, the company reported that it would increase sales in the industry and even explore the exportation opportunities within the European markets. Since its establishment in 1999, Meantime has been a successful company, producing an array of successful beer brands in the country. This is according to SABMiller. The acquisition of Meantime by SABMiller includes their retail sales as well as the brewery shop situated in Greenwich, the Beerbox and Greenwich Union pubs as well as the Brewery Fresh tank beer concept by the company. 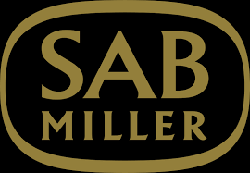 The acquisition is set to compliment the line up of imported premium lagers by SABMiller. As of 09:01 GMT, the SABMiller Plc was trading at 0.81 percent higher in London. This is an increase of 12.95 percent in a year. The current value of the FTSE 100 brewer is about 58.08 billion pounds.